The battles in TEKKEN 7 are sure to draw blood as Eliza brings her fangs and fighting skills to bear in TEKKEN 7’s latest DLC update. Her unique character background and design will surely deliver a new dimension of play for those seeking a vampiric fighting experience. 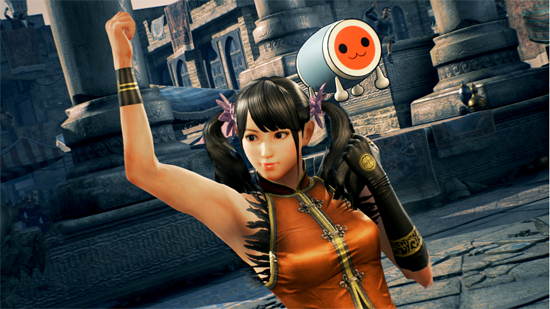 Also available for download are a myriad of Taiko No Tatsujin themed items ranging from outfits to health gauge skins that players can use to add some zaniness to their TEKKEN 7 battles. TEKKEN 7 is available now in the Americas for the PlayStation 4, Xbox One, and PCs via STEAM. Happy posting!